A couple of dinner pictures and descriptions. 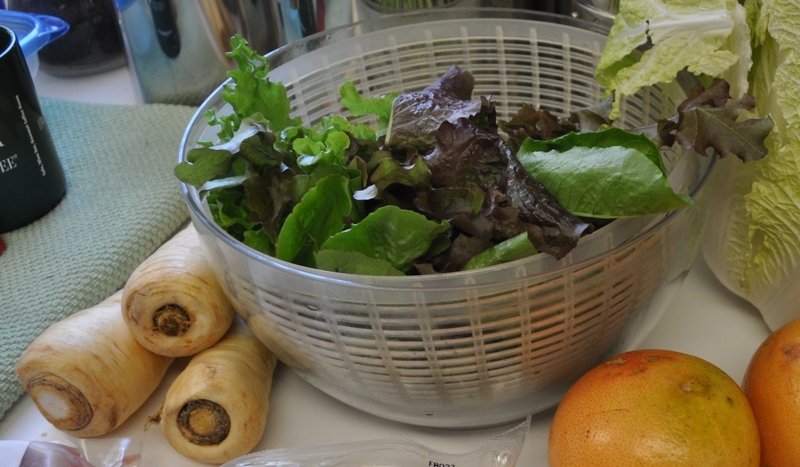 Using the parsnips from last week’s basket. See those parships hiding behind the greens? Those really good for you vegetables that no one ever seems to be buying? Turns out they are really good for you, and they taste good too. Yesterday I made colcannon using the biggest one. 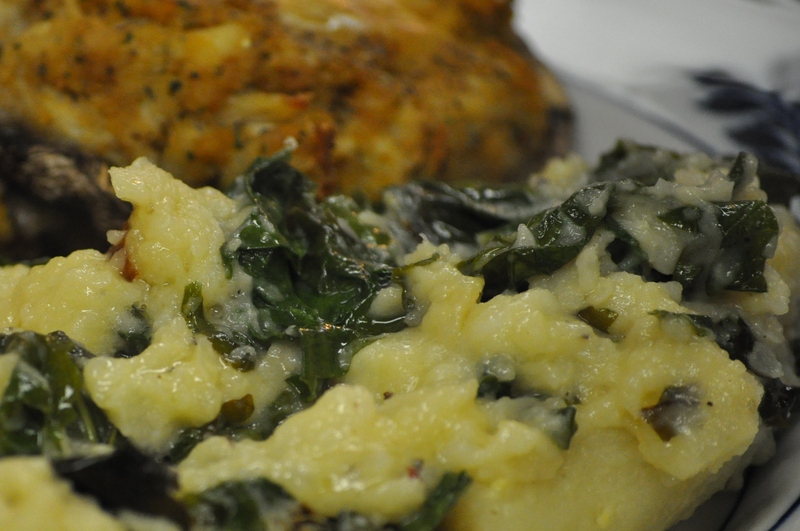 I love colcannon and haven’t made it in a while. It is pretty versatile as you can use any combination of starchy vegetables and cabbage/greens. 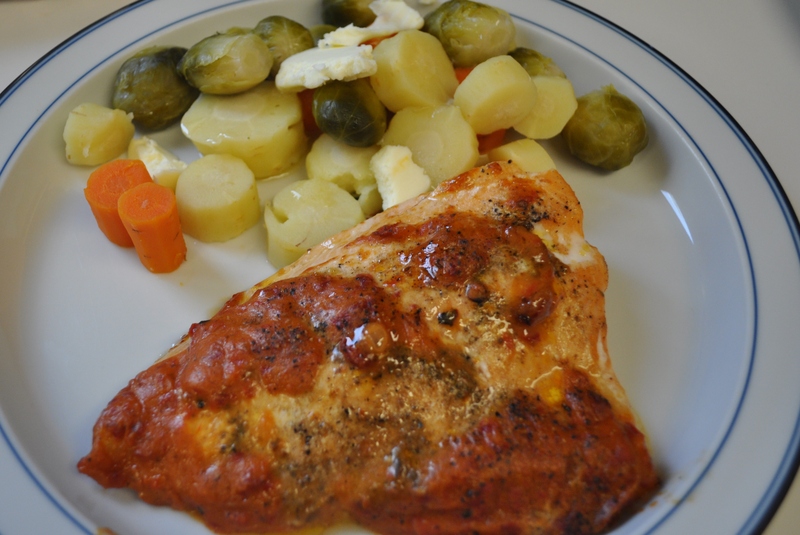 This dinner used all sorts of items from the Friends and Farms basket. The deviled crab was baked on the portabella mushrooms. Boarman’s crab cakes covered with a sauce of sweet mustard and Old Bay. Drizzle of oil. Baked at 400 degrees. Colcannon. First, peel and slice/quarter a couple of potatoes and one very large parsnip. Boil them until soft. Mash. Meanwhile sauté half a sweet onion, and add blanched greens. I used the turnip greens from last week’s basket. 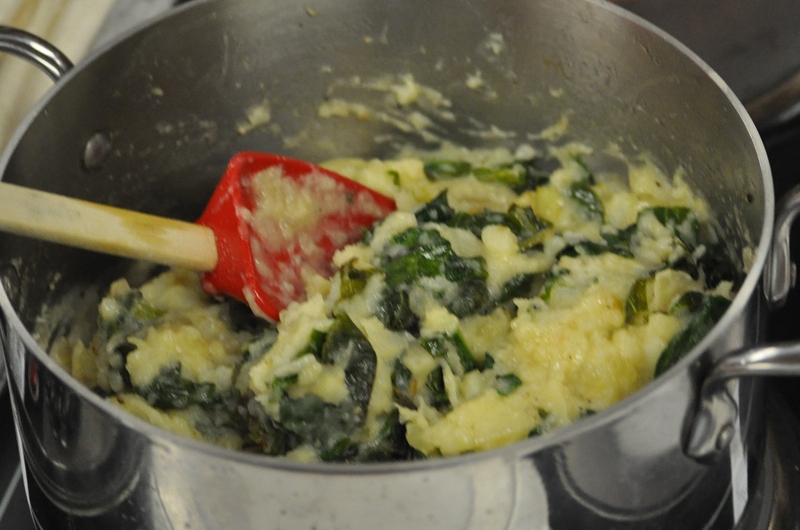 Once wilted add to the mashed potato/parsnip mix, and stir in one cup of buttermilk and one tablespoon of butter. Salt and pepper to taste. Not bad for a Wednesday night dinner. But then, tonight. A new basket with Arctic char in it. I will do my weekly basket post tomorrow. Tonight though, was all about that char. Coated with a red pepper pesto and olive oil. Convection baked for 30 minutes at 325 degrees. As for those last two parsnips, they were steamed with some Brussels sprouts and two carrots left from an earlier basket. I am a serious parsnip fan these days. Sweet, tasty veggie. Posted in Food, Friends and Farms, Real Food and tagged cooking, farms, Food, foodie, Locavore. Bookmark the permalink. Roasted parsnips are delicious. Back in college we would cut parsnips in thin strips and caramelize in a skillet.